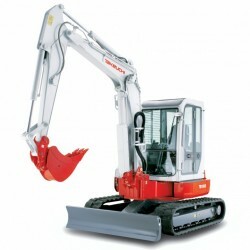 A mini excavator from our comprehensive fleet will meet your requirements, from 8 ton to 3/4 ton; we have a mini digger to meet your needs. 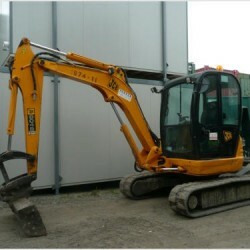 Our mini excavator for hire range includes 8 ton, 6 ton, 5 ton, 3 ton, 1.6 ton and ¾ ton mini diggers. Our smallest mini excavator is only 700mm wide, enabling you to take it through tight areas and even drive through doorways to use indoors if needed. 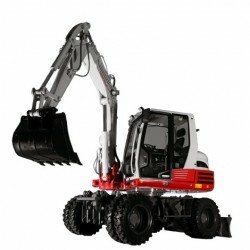 Our delivery personnel will supply your mini digger to your location and advise on its operation and usage. 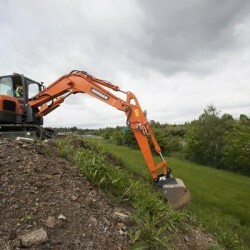 We have locations across South Wales and whether you are looking for mini excavator hire in Swansea, Haverfordwest, Bristol, Newport, Aberystwyth or Cardiff, we can help.